WASHINGTON — Raytheon is developing technology for soldiers to control unmanned vehicle swarms with voice and gesture commands, according to a company news release. The technology is being developed under the Defense Advanced Research Projects Agency’s Offensive Swarm-Enabled Tactics, or OFFSET, program. Raytheon’s BBN Technologies division is developing a visual interface that allows for “drag and drop” creation and manipulation of swarm tactics, a game-based simulator to evaluate those tactics, and a physical swarm test bed to perform live tactics evaluation. DARPA has also awarded contracts to Northrop Grumman Mission Systems and Lockheed Martin for the OFFSET program. These Phase 1 contracts are part of the program’s “swarm sprints” and an effort to enable rapid development by leveraging and combining emerging swarm technology. Swarm sprints focus on five key areas: swarm tactics, swarm autonomy, human-swarm teaming, virtual environment and physical test bed. Raytheon’s swarming technology will be applied by DARPA in unmanned systems meant for multiple domains, not only unmanned aerial systems. 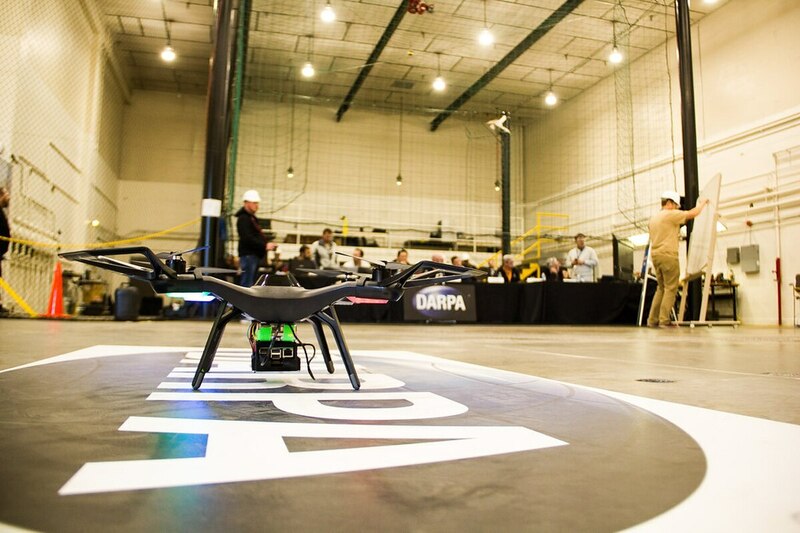 “We imagine seeing swarm tactics where you’ll be conducting reconnaissance with a swarm of air and ground robots. Or identifying ingress and egress points, or perhaps identifying novel ways to construct a perimeter of an area of operations,” Timothy Chung, DARPA’s OFFSET program manager, said in a video about the first sprint. The United States is playing catch-up in developing swarming technology. Chinese companies are setting records in unmanned system swarming. In June 2017, the China Electronics Technology Group Corporation set the record for fixed-wing UAS, flying 119 systems in a swarm; and in December 2017, researchers from the Chinese state-run National University of Defense Technology used more than two dozen UAS to complete a simulated reconnaissance mission. Also in December 2017, Chinese firm Ehang set the world record for the largest swarm ever deployed, using 1,180 UAS in a performance closing the Global Fortune Forum in Guangzhou.